Steve Williams tried to do the seemingly impossible in this 1987 district championship game, that is pitch his Crescent City team to the title - on consecutive nights. Williams got his team to the title game with six innings of relief work. He then started the championship game the next day and lost, according to The Daytona Beach News-Journal. "You have to give a lot of credit to Williams," rival coach Dominic Caputo told The News-Journal afterward. "He didn't have his usual pop. He almost pitched a whole game yesterday." Williams soon used his usual pop to turn pro. He ended up playing five seasons, but he never made AA. Williams' career began that year in 1987, taken by the Orioles in the 24th round of the draft out of Crescent City High School in Florida. Williams started with the Orioles at rookie Bluefield. He got into six games, starting two, with a 2.70 ERA. He returned to Bluefield for 1988. He went 5-5, with a 3.48 ERA in 18 outings, seven starts. Williams moved to short-season Erie for 1989. His ERA increased to 5.90 over 19 outings, six starts. In 1990, he played his first full-season at single-A Wausau. He allowed five hits in a July 1990 game, but went against a no-hitter. 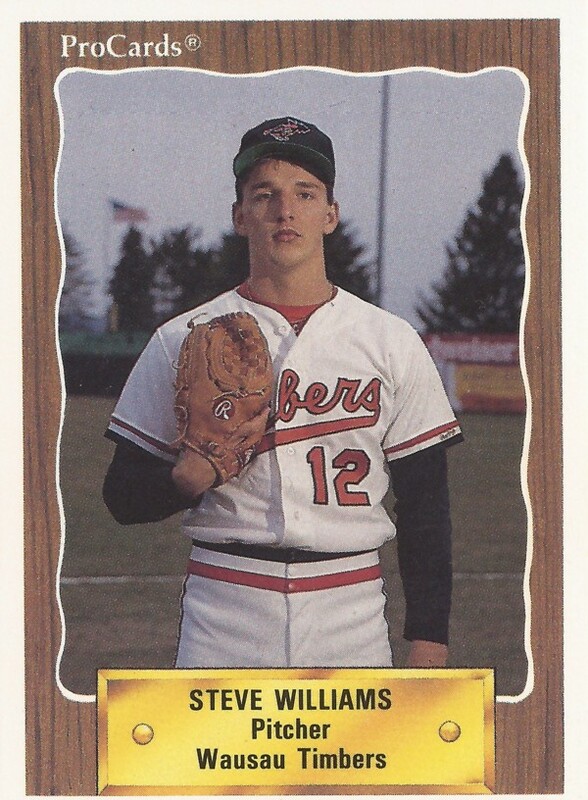 Overall in 1990, Williams went 7-9 at Wausau, with a 4.25 ERA. He came back for 1991, but his season ended up being brief. He got into just one game at high-A Frederick, giving up two earned in two innings, ending his career.